It’s official! 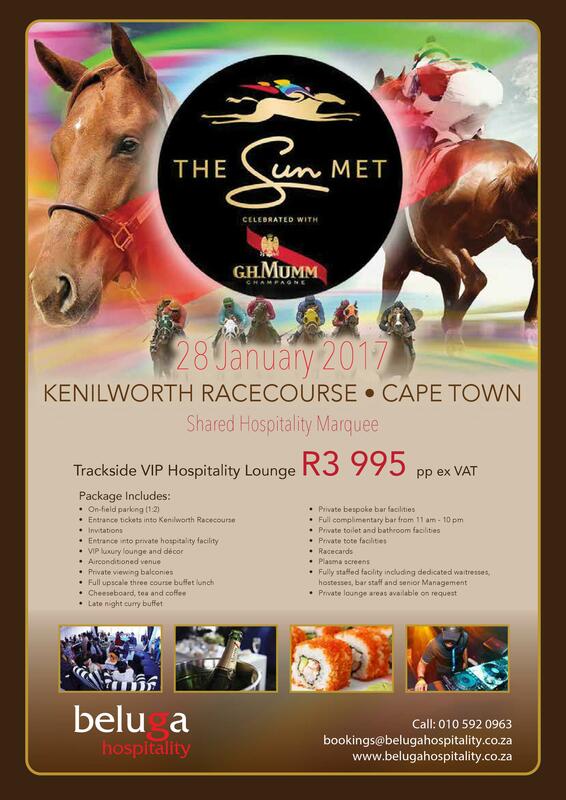 Sun International is taking over the reins of South Africa’s most prestigious horse-racing event under a new name, The Sun Met celebrated with GH Mumm. From the ponies and the punters to the fillies and fashionistas, the Sun Met is a prestigious equestrian event with a proud legacy – and we can’t wait to share it with you! Witness the thrill of the race with an extra dose of elegance, sophistication, glamour and world-class entertainment.